Such a gorgeous place to visit. Definitely take the sky lift and enjoy the fall foliage or cherry blossoms in spring. So much fun and such a gorgeous zoo. Take the elephant train to Seoulland after you explore the zoo! Visit Seoul Zoo, the largest ecological park in Korea, and see varieties of different species of animals and plants for yourself. Why don’t you try listening to informative presentations and programs and learn more about Seoul Zoo? You can move around the park comfortably by Sky Lift and Elephant-shaped train! There is a botanical garden as well inside the zoo. There are about 20,000 plants, 928 species around the world. You can take a look at works of art made of plants. There is also a forest bathing park surrounding the zoo with a total of 8km of paths, and you can take a forest bath from 50 minutes to 3 hours. Enjoy the zoo, the botanical garden, and the forest bathing parking all with just one ticket! The National Museum of Modern and Contemporary Art, Korea is free of charge. Enjoy popular works, such as Baek Nam-Joon’s Video Art, Yayoi Kusama’s “Pumpkin” and other works for free. There is also a nice restaurant inside, so it is good to have lunch there. Sky Lift and Elephant-shaped Train are popular transportations in Seoul Grand Park. You can go easily to Seoul Zoo, Seoul Land, camping ground, or National Museum of Modern and Contemporary Art. 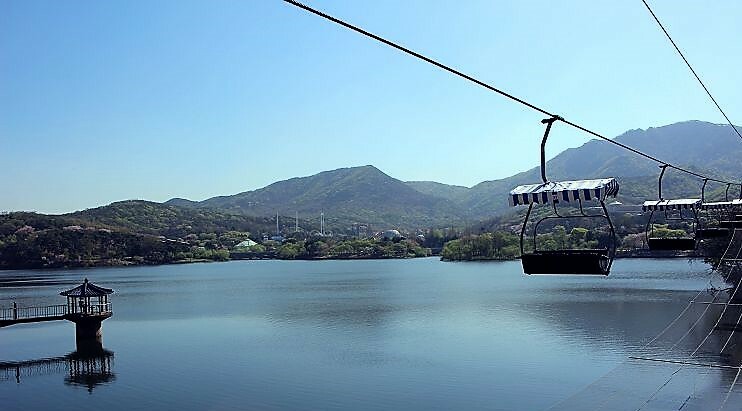 • Sky Lift has Line 1 passing over the lake and Line 2 running inside the zoo. • You can use Elephant-shaped train for 1 time (one way) and Sky Lift for 2 times (one way) with the ticket. Elephant-shaped train cycles around Information Center → Entrance of Seoul Zoo → Seoul Land → Information Center. 3. Present the voucher at Sky Lift ticket counter, get an actual ticket, and enter. 1. Get off at Exit 2 by the left door of Seoul Grand Park Station (Subway line 4) and go straight. 2. If you see the main building, turn right and go straight. 3. Please visit the Sky Lift Restaurant building. 4. Find the Online Ticket Exchange place next to the GS25 convenience store on the left sides of the building. 5. Please exchange the ticket to Elephant-shaped train boarding pass, Sky Lift boarding pass, and Seoul Zoo Entrance Ticket at the Online Ticket Exchange place. 1. Baby carriage can be boarded (free of charge). 2. Three adults can ride on 1 Sky Lift carrying infants with them. 4. 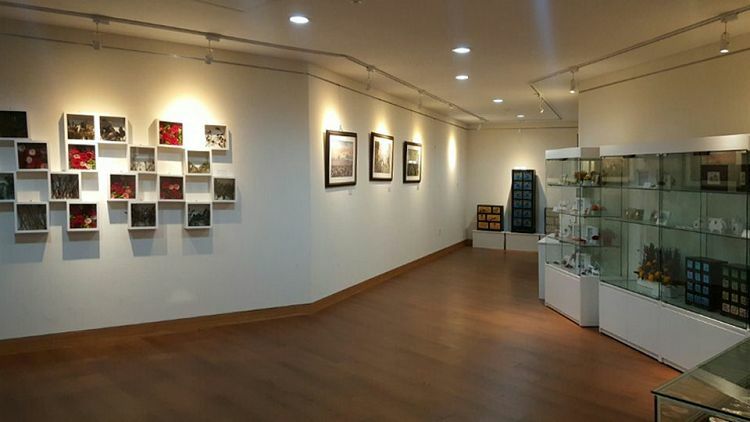 The National Museum of Modern and Contemporary Art, Korea is free of charge. Enjoy popular works, such as Baek Nam-Joon’s Video Art, Yayoi Kusama’s “Pumpkin” and other works for free. There is also a nice restaurant inside, so it is good to have lunch there. 5. Depending on the weather, animals may not come out. 6. The lift may not be operated due to bad weather (high winds, lightning, etc.) or mechanical inspection. 7. The boarding of Sky Lift and Elephant Train closes 30 minutes before the closing hour. 8. Sky Lift and Elephant Train schedule may change on weekends/holidays.